The OION Fund provides investors with a portfolio of EIS- and SEIS-qualifying companies selected by fund manager Innvotec from companies put forward by the OION (Oxford Investment Opportunity Network) group of angel investment networks. Investee companies are predominantly in Oxfordshire, the Midlands and central southern England. They are likely to be technology-led companies and many are university spinouts. The OION Fund is managed by Innvotec Limited, a London-based independent venture capital firm specialising in EIS, SEIS and SITR funds. Established in 1987, Innvotec has around £45 million of assets under management. It also manages the Anglo Scientific and Startup Funding Club EIS portfolios. The key individuals are John Marsden, managing director of Innvotec, and Nick Gurney-Sharpe, chief investment officer. Mr Marsden joined Innvotec as a fund manager in 1990 and became MD in 2001. Prior to this his experience includes director roles at a music publisher and a computer company. 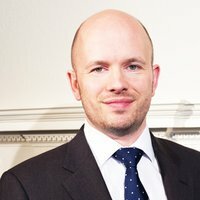 Mr Gurney-Sharpe joined Innvotec in 2005; prior to this he worked in private equity at 3i and before that at CDC Capital Partners. The fund is a collaboration with Oxford Investment Opportunity Network Ltd (“OION”), a company that runs three business angel networks detailed below, one of which is also named OION. Innvotec started partnering with OION in 2014; this is the third fund they have launched together, the first two of which were SEIS-only. 25 investments have been made under the partnership to date. Deals sourced through three OION-managed business angel networks, which have been working with entrepreneurs in Oxfordshire and the surrounding regions since 1994. OION works on behalf of the investee company. It provides pre- and post-investment advice and access to experienced business advisers. For the purposes of the fund, OION screens and selects potential investee companies from among the hundreds it sees every year. It presents these as investment opportunities to Innvotec, which then makes its own decision about whether to invest. Innvotec carries out its own due diligence and only invests if it is happy with the terms. The fund’s mandate also allows Innvotec to invest in opportunities other than those introduced by OION, although to date it has not needed to do so. The fund aims to deliver capital growth for investors, with an aim to return 120% of investors’ capital. The performance fee is set at a hurdle of £1.20 per £1 invested (before taking into account any tax relief). It invests in companies right from the start-up stage, through to early revenue generating companies. The addition of the EIS element allows for follow on funding into companies that are no longer SEIS eligible. Investee companies are technology-led, with core sectors being web (particularly IoT – the Internet of Things), healthcare, life sciences and environmental tech. The companies do not have to be revenue-generating but need strong intellectual property, such as patent-protected innovations with commercial potential. The fund focuses on the geographic base developed by OION over the last 23 years, which Mr Gurney-Sharpe describes as within a one-hour drive from Oxford. However, there is no actual geographic boundary and the portfolio includes companies based in Norfolk, Leeds and Sheffield. Many of the companies put forward by OION are university spinouts. Although the networks are Oxfordshire-based, not many of these come from University of Oxford itself. Mr Gurney-Sharpe says this is partly because the University’s Technology Transfer Office is more protective over spinout companies’ intellectual property compared to other universities. Instead, OION has developed relationships with other regional universities. Startups also emerge from the general ‘tech cluster’ that has grown up around Oxford and its universities. Both Innvotec and OION take part in the commercial development of the companies. Innvotec takes a role on the board of investee companies, either as an observer or a full board seat; OION continues to advise the investee company and assists them with recruitment, coaching, finding suitable premises, finding commercial partnerships and identifying potential acquirers. This Surrey-based company develops medical devices for wound care and aesthetic medicine. Its technology is based on plasma, hence the name (the other three states of matter being solid, liquid and gas). 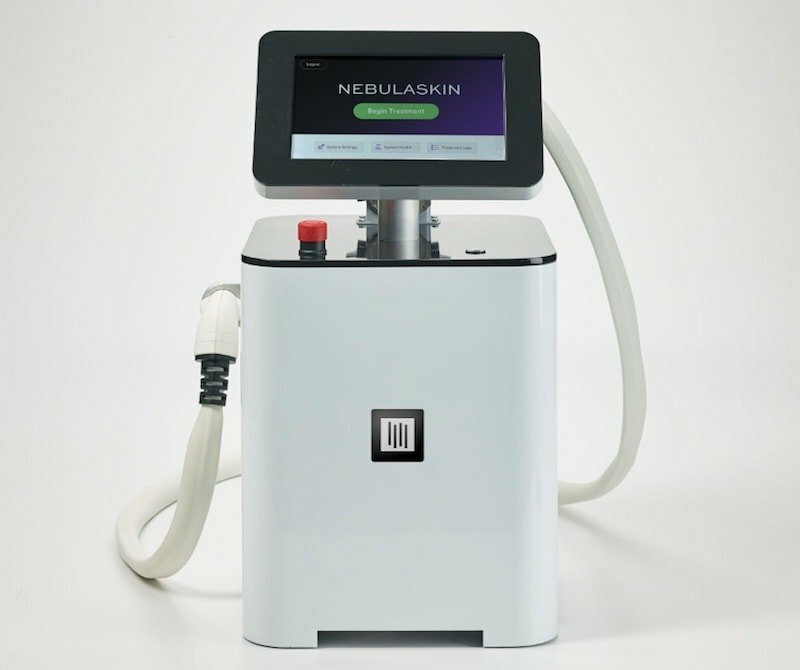 Its Nebulaskin device is used for in minimally invasive cosmetic surgery, a market estimated at around £229 million per year in the UK. In trials, it has been shown to reduce facial lines & wrinkles in trials and can also be used to treat acne scars. The same plasma-based tech is also being developed to treat chronic wounds like ulcers and bed sores, which represents an even larger addressable market. The company was spun out of University of Surrey in 2013, joined the SETsquared accelerator and took part in 2014’s [email protected] 2.0 event. The OION funds have invested £50k of SEIS money so far alongside investment from business angels. This Oxford-based company applies IoT technology to maritime environmental monitoring, helping ship owners to reduce pollution. 95% of visible UK trade travels by sea and the emissions from shipping are so significant that 75 countries have signed the MARPOL agreement which requires ship owners to monitor and reduce their emissions. Green Sea Guard has developed a system which helps coastguards monitor and track emissions. It also helps ship-owners monitor their own emissions and report data to their customers. The company was a 2016 finalist in the Internet of Things category at the UK Business Angels Association awards. London-based Crowdskills was founded in 2014. It offers a platform to connect digital freelancers with major employers with a project that requires contractors. It targets a £911 million segment of the estimated £26 billion UK digital services market and, eventually, the global $5bn graduate freelancer market. Crowdskills has recently worked with Maserati, the British Government and the United Nations. These are previous investee companies of the fund; new investors’ portfolios will likely be invested in different companies. The manager aims to secure exits from portfolio companies around five years from the date of investment, although of course this is not guaranteed. As the partnership with OION has only launched two previous funds, it is too early to verify this strategy. However, the fund has had one exit to date: MyGravity, a loyalty programme operator which developed the My360 app. Its platform signed up over 50 clients, including the El Mexicana restaurant chain, which use it to provide their own loyalty schemes. The company sold to Loyalty Angels Ltd, which operates Bink, a larger and more established loyalty app, in February 2017. Past performance is not a guide to the future. The OION fund invests in small, unquoted companies that may be pre-revenue, so the usual risks with EIS and SEIS investments are amplified by the early-stage nature of this portfolio. In particular, investors’ capital is at risk and the investments have very low liquidity. Further details of risks are outlined in the Investment Memorandum. Investors should not invest money they cannot afford to lose. Tax rules can change and the value of tax benefits will depend on individual circumstances. Specific risks in this sector include failed technology, patent application failure and intellectual property infringements. There is no direct initial charge to investors, allowing investors to obtain EIS or SEIS tax relief on the full sum invested. There is an annual management charge of 1.5%. Innvotec applies a performance fee of 30% on any gains above the first £1.20 returned to investors per £1 invested. There are fees paid by the investee companies, which will indirectly affect investors’ returns. The fund is evergreen so while there is no hard deadline, there is a ‘close’ at the end of each quarter and the managers intend each tranche to be invested within the following quarter. Investors will receive SEIS or EIS tax certificates per portfolio company. Innvotec’s collaboration with OION has shown some promising initial signs and OION’s investor networks have provided good deal flow. Both parties have respectable track records in their areas of expertise; however, the partnership is still quite new and long-term success is yet to be demonstrated. The early-stage, high risk / high reward model is very much in the spirit of SEIS and EIS.